Completely disregarding unnecessary features and extra add-ons, this contemporary occasional table group exemplifies both simplicity and functionality. The medium wood-toned finish enhances its surroundings in any given room while the parsons legs provide ample support for various displays. 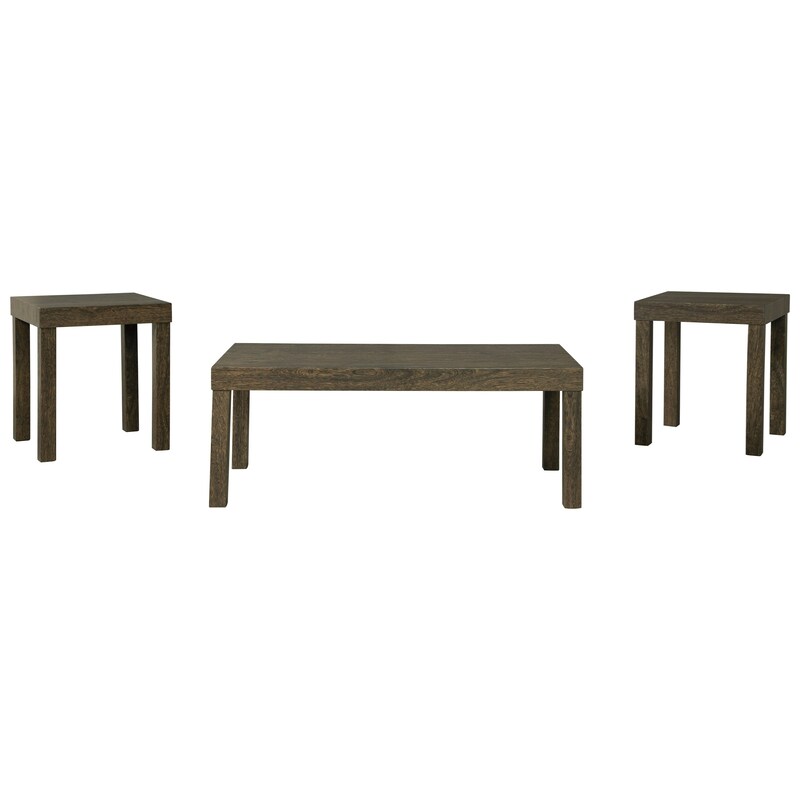 These three pieces work together to create a fun, modern living space. The Keilson Contemporary Occasional Table Group with Parsons Leg Design by Signature Design by Ashley at Value City Furniture in the New Jersey, NJ, Staten Island, Hoboken area. Product availability may vary. Contact us for the most current availability on this product.